The Unknown To The Unknown roster is made up of a wide-ranging group of producers that, more often than not, bely the expectations set upon them by fans and the music media. Elusive Portuguese-bred producer Lake Haze fits that bill to a T, spilling out a bubbly, direct take on garage and bassline for the ‘nuum-focused masses. 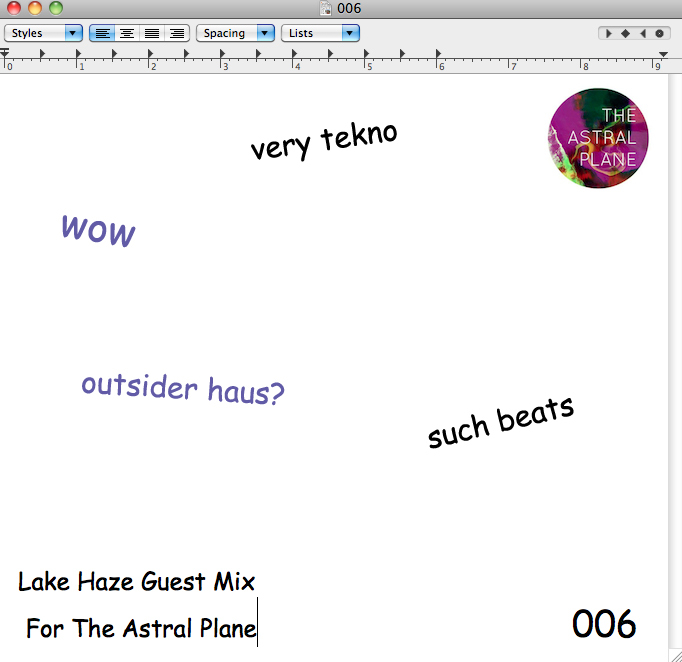 With only one release to his name (the aptly titled Late Night Trip EP) and another UTTU release on the way, we didn’t have a ton to go on when we first up Lake Haze for a guest mix, but the mix manages to function as both a comprehensive introduction to his influences and DJ stylings, as well as a surefire party starter. Made up of a combination of UTTU classics and choice bassline cuts, this mix has enough curvaceous low end and patois for even the most jaded listeners. Hit the jump for the full tracklist and download below!